It’s been a while since I’ve posted knitting content. Honestly, It’s been a while since I’ve knit. Between work, grad school, and trying to get Rock Solid Designs up and running and semi-viable as a company, I have barely had a second to relax! 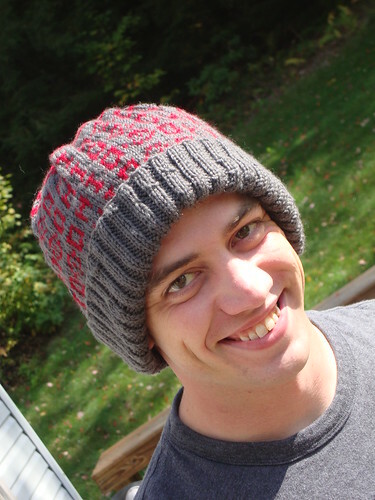 This post will be a review of knitting I have completed over the past two months. Not the best pictures, but you get the idea. At least the sock fits someone now. But because I love J oh so much…I promised I would still knit him the sock. So we went digging through my stash, and found a yarn that would work better with a larger needle size. These are coming along quite nicely. Here is the start of his sock. Going along much smoother, thank goodness. I like the color of this yarn. It’s hard to tell in the photo, but it’s a subtle gradient from dark blue to dark green-blue. I wanted to get a sweater knit before winter ends, but it doesn’t look like it will get done. I haven’t even worked on this since Christmas. I LOVE this sweater, and I LOVE this yarn. 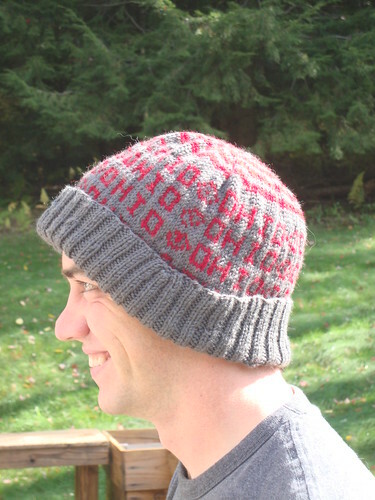 It’s an Opulent Raglan knit with Madtosh DK yarn. I wish I had more time to work on this, because it’s done nothing wrong. It deserves to be loved. Hopefully I will have time to work on her once spring break starts for my classes next week. Sorry to be absent for so long- about a month and a half ago I picked up a lot of fieldwork and have only been home about two nights a week. Add traveling to Ohio almost every weekend for wedding activities, and that means little knitting time, let alone blogging time. There was some progress on my knitting though. 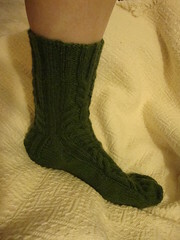 I finished one blackrose sock. I have not cast on for the second yet (I get distracted easily) but I love the pattern! I am still working on my Cardigan for Arwen-I am maybe 1/5 of the way done the right half. I love the pattern and the sweater, I just get bored so easily that working on it doesn’t happen. (I am a bit of a knitting skank. I jump arou nd a lot). 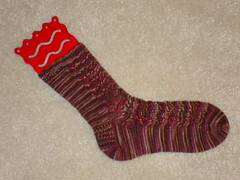 I am also halfway done a pair of Log Cabin socks for a friend in Texas. It is knit in a 50/50 alpaca wool, so while that is not good for texas, it is great for when he is out doing fieldwork in Washington. I have started the second sock of this and am already through the first set of cables. I like the pattern, it is easy to memorize and execute. I may make a pair for myself soon. 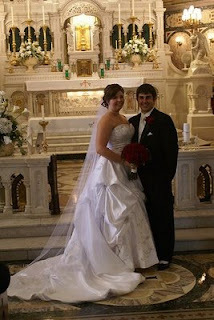 And, for good measure, some of the pictures from the wedding! My closest friend from high school married her high school sweetheart this past weekend. 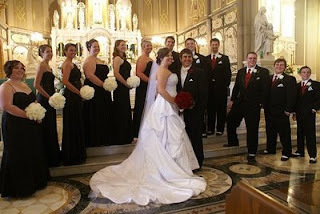 It was a lovely wedding inside the gorgeous St. Mary’s Chapel in downtown Dayton. I could not be happier for the two of them. they are a wonderful couple and I sincerely wish them the best, and am honored to have been included in their special day. So, congratulations Mr. and Mrs. John Ross!